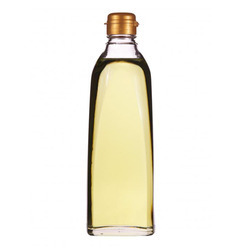 Herbal hair oil is a special herbal medicine. Regular use of HerbalHair oil helps to open the dead pores. - pleaseantly fragrant and non-greasy hair oil which gives beautiful aroma to hair throughout the day. Natural Hair Oil is non sticky herbal oil, enriched with unique blend of herbs that penetrates deep into the scalp to nourish the hair roots. It is specially formulated in technical collaboration with Hawaiian Herbals, USA. To cater the variegated demands of our customers, we are highly engaged in trading a high quality array of Bajaj Almond. We are occupied with assembling, supplying and sending out Almond Hair Oil for Hair Growth. The offered oil is arranged in our endless preparing unit, which is decently furnished with current machines and most recent engineering. We additionally have a roomy stockroom to securely store all the items, before conveyance. Enrich your hair with the wholesome goodness of almonf that conditions your hair with a natural fragrance, healthy growth and a lasting glow. 1. Almond oil contains all kinds of healthy ingredients forhair like Omega-3 fatty acids, phospholipids, vitamin E, and magnesium. - Enriched with goodness of almond oil and 200% vitamin E.
- Gives deep nourishment to hair, root and scalp. - Helps for softer, smoother and shinier hairs. 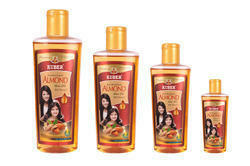 We are amongst the most reputed names in the industry, offering Bajaj Almond Drops Hair Oil 100ml.